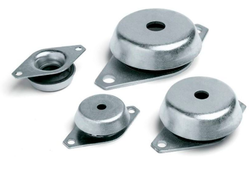 Our range of Anti Vibration Mounting is manufactured using the high grade of raw material and are used across various industries. Their superior quality raw material ensure that anti vibration mounting keep that flawless standards and an uninterrupted performance during their usage. As Cushy Foot Mounts, these come in precision construction finish and provide for superior resilience at low loads. Further, the extensive research based mount design also provides for optimum deflection support. 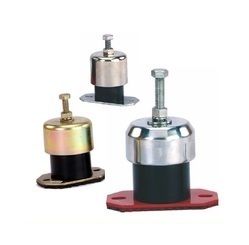 Featuring compact finish, these mounts also allows for easy installation support as well as anti-vibration support as required during generator/machine installation. Some of its advantages include availability in tight tolerances, wide load rating options, suitability for varied industrial applications, sturdy construction support, providing for longer usage life, developed as per international standards among others. These can also be custom developed as per the design and construction material options offered by customers. Rubber to metal bonding is a means by which rubber is mechanically bonded to a metal insert during the moulding process. 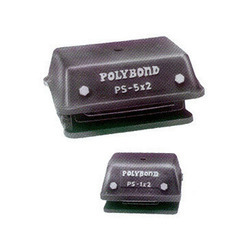 Combi Mount Type Ps consist of two PS type Sandwich mounts housed together in specially designed iron castings for protection against oil & mechanical damage. These are special mountings with natural frequencies down to 5.5 Hz & very good lateral stability. For low disturbing Frequencies, high deflection can be achieved by screwing two Combi Mount Type Ps together along the flange. 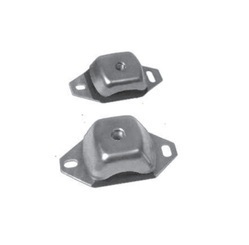 When they cannot be bolted, these mounts can be located by rubber friction pads. Load capacity 50 kgs to 2000 kgs per mount. ECS Mounts are an spring mounting enclosed within Neoprene rubber and a metal case. This ensure protection of the spring from all leakages that may occur during oppurations. The OS Mounts are generally used in pumping applications and under Inertia bases used under pumps. 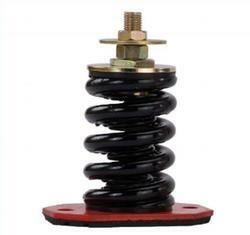 They are effective in isolationg vibration from every type or reciprocating and rotary machine. They are high adjustable and can provide over 80% of vibration isolation in not less. 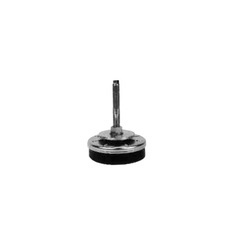 We is the renowned trader, offers a huge specifications of Anti Vibration Mounts products to our esteemed clients. The manufacturing of these products is mainly being done with a superior quality raw material that is highly being imported. Our engineers use latest updated equipments which are highly testified. These are used in different machines to prevent shocks and strokes that are often caused due to over loads in the machines. Our clients can avail these from us in reasonable costs along with best quality assurance. 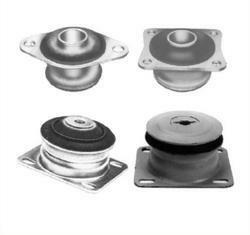 We is the renowned trader, offers a huge specifications of Anti Vibration Mounts products to our esteemed clients. Our range of Sandwich Mounts support heavy as well as sensitive equipment. They are used to isolate intermittent or continuous vibrations. 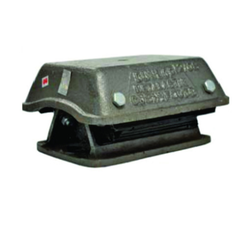 These sandwich mounts can be loaded by compression, by shear or by the combination of the two. Our array of Double U Shear Mounts features a soft, vertical spring rate. 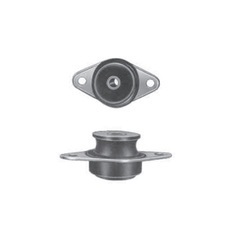 These mounts are capable of dampening shock & vibrations in the vertical as well as lateral directions. These double 'u' shear mounts also incorporate built-in protection against metal to metal bottoming. 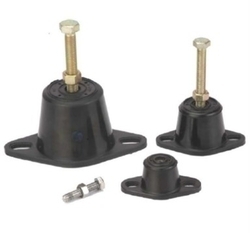 Turret Rubber Mountings are designed to provide superior attenuation of medium to high frequency vibration and noise emanating from a wide range of motor driven machines particularly axial and centrifugal fans. High resilIence rubber with lowdynamic to static stiffness ratio ensures maximum efficiency, good creep performance and long service life. Also available with oil & environment resistant durable Neoprene. 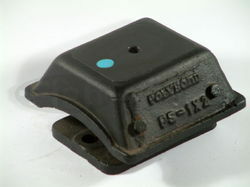 Manufactur ed in three sizes, each available in three rubber compounds identified by a colour spot. Optional height adjusters also available. Turret mountings should not be used on machines exhibiting high out of balance forces without restraining bolt. The range of Machine Mounts Type PSN is especially suited for mounting workshop machinery without being anchored to the ground. The height adjustment feature allows precise leveling of machinery. The machine mounts provide excellent mobility of machinery layout in the workshop. These mounts will insulate high frequency vibrations, sound and prevent wandering of machinery due to the large contact area. Combi Mounts Type Pc is suitable for a wide variety of Equipment. The Combi Mounts Type Pc, is low in profile, compact in size & ideal for mobile application due to added "Fail-Safe" feature. These mounts can be supplied with a height adjustment feature if required. Core Mounts are designed so that the rubber works in both, shear & compression. 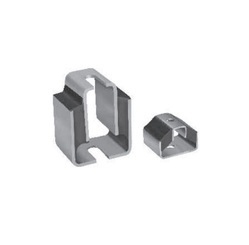 These mounts will work in most severe shock conditions when used with snubbing washers. 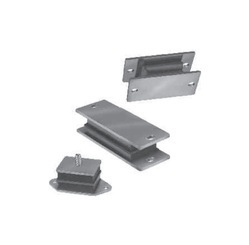 The low profile, failsafe core mounts are used for the number of applications. Looking for “Anti Vibration Mounting”?